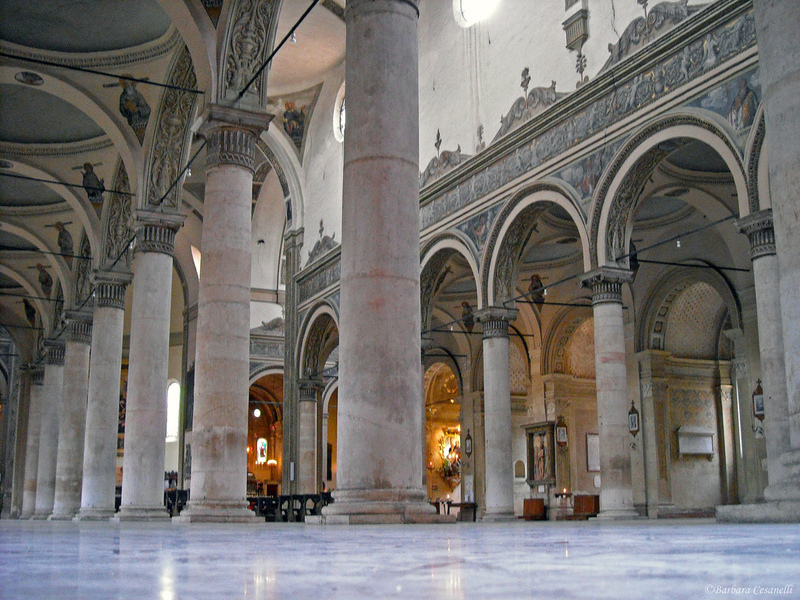 The cathedral is situated in the centre of the city and its construction dates back to the X11 century with the contribution of Guglielmo of the Adelardi family, a noble Guelf family. It is dedicated to Saint George, the patron saint of the city. The building is characterized by Romanesque style architecture in the lower part of the facade, while the upper part, completed one hundered years later, is in Gothic style . The architecture is characterized by a series of trepartite arches which run along all sides of the building, interrupted only by the Portal of the Months on the south side ,sadly destroyed during the 1700’s. Between 1451 and 1493 the bell-tower was build, according to recent studies the tower was designed by the great artist Leon Battista Alberti. The inside of the cathedral is in Baroque style with a triple transept . 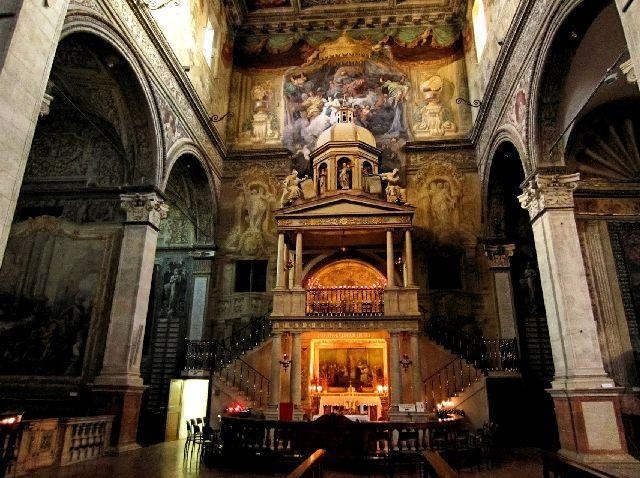 The side chapels contain paintings of great artistic interest, for example “la Madonna in trono e Santi ( “The Madonna and saints in Throne “by Benvenuto Tisi da Garofalo, “ l'Incoronazione della Vergine e Santi (the Incoronation of the Virgin and the Saints ) by Francesco Francia and “ La Madonna in gloria con santa Barbara e Caterina “(The Virgin in glory with saints Barbara and Catherine”) by Bastianino . This same artist also painted the fresco in the apse “the Day of Judgement” Giudizio Universale (1577-1581) inspired by Michealangelo’s painting in the Sistine Chapel in Rome. In the past this was part of the monastic complex of the Certosini, today it lies alongside the town cemetery. The church , recently restored, allows the visitor the opportunity of admiring its original splendor. Inside the church it is possible to see the marvellous altar-fronts and the richly decorated alter- pieces, unique to Ferrara. 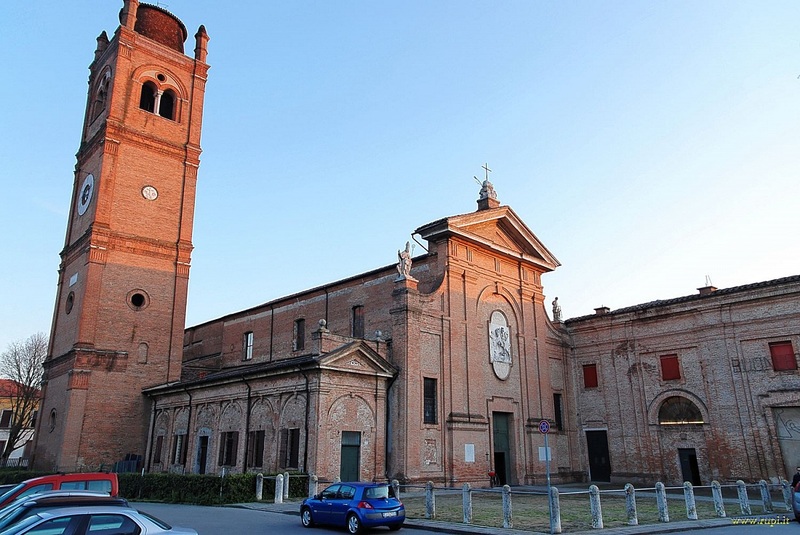 This elegant church, with its facade which recalls the early Tuscan Renaissance period, represents one of the most important examples of the architecture of the great Biagio Rossetti. The large side windows illuminate the interior of the church creating an effect which underlines the overall harmony of the building. Important works of art from the XV to the XVII century can be seen inside the church. 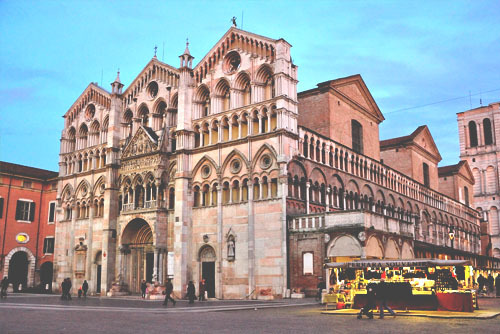 This was the first Cathedral of Ferrara and at present is a monastery run by the Olivetani order. In some parts of the building it is possible to see the hand of Biagio Rossetti, while the interior of the church offers rich baroque style decoration. This church, originally situated near a fiord in the river Po, became famous because of a miracle that took place on Easter day in 1171. The richly decorated interior of the church bears testimony to the Renaissance and Baroque period. 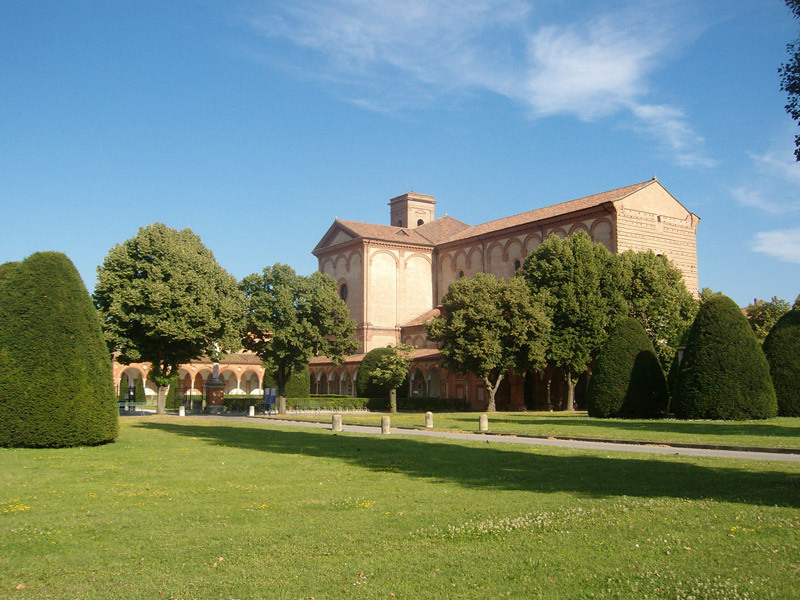 The church was designed by the Jesuit G.B Tristani in 1570. The masonry facing is in terracotta brickwork and the inside is characterized by a single nave with three connecting side chapels. At the entrance, in the nave, on the left, it is possible to admire a wonderful “Compianto sul Cristo Morto” (Lamentation over the dead Christ with Saints”) a group of terracotta figures sculpted with great expression and naturalism. The sculptor Guido Mazzoni created this work in 1485 and the figures surrounding the dead Christ bear a resemblance to members of the Este family: Maria of Cleofa resembles the Duchess Eleonora of Aragon, while Giuseppe of Arimatea represents Duke Ercole 1. All the figures are realized with intense realism. In the apse of the church we can see the funeral mausoleum of Barbara of Austria, the second wife of Duke Alfonso 11 attributed to Francesco Casella (1591) a sculptor from Bergamo. This convent was part of a much larger complex in the past, nowadays only a small part of this original complex is given over the nuns. The church which is used by the public is decorated with ceiling frescos from the XVIII century and paintings on the walls. The importance of the convent is linked to the fact that the tombs of the Este family rest inside the building. Closed : Saturday , Sunday and Catholic feast days. Partially accessible to wheelchair visitors. This convent, dating back to the XIII century has been subject to many modifications over the centuries, these changes are most evident in the building of the church used by the public which appears today in Baroque style. The inner church, however conserves its precious frescos by artists of the school of Giotto which lie alongside the original cloister. There is a sense of peace and tranquility that pervades the entire complex. Closed: Sundays and catholic feast days. 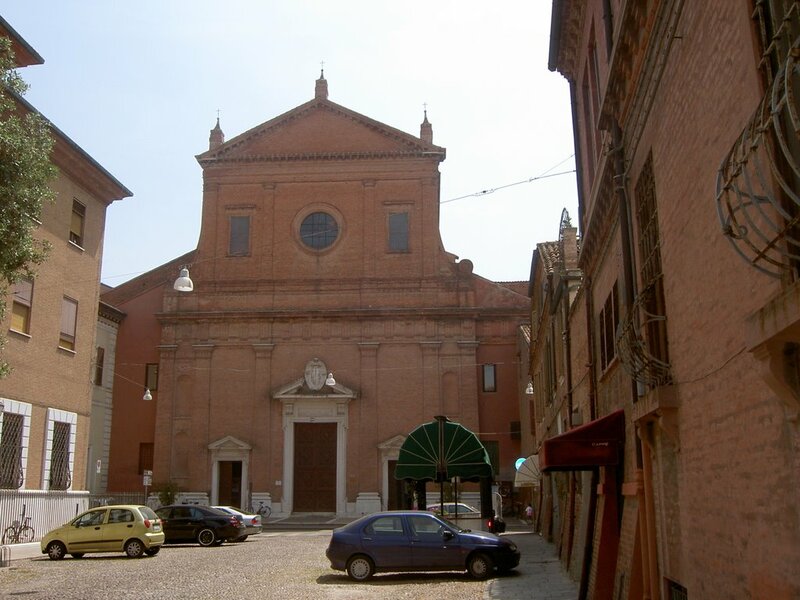 Founded in 1370, seat of the Confraternity of the "Buona Morte" this church houses a beautiful XIV century "Resurrection". 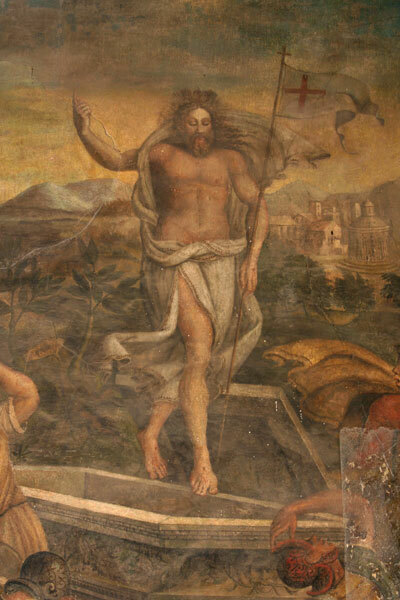 It is possible that this work of art inspired Piero della Francesca in his "Resurrection" painted at the court of the Este family in the middle of the XV century. 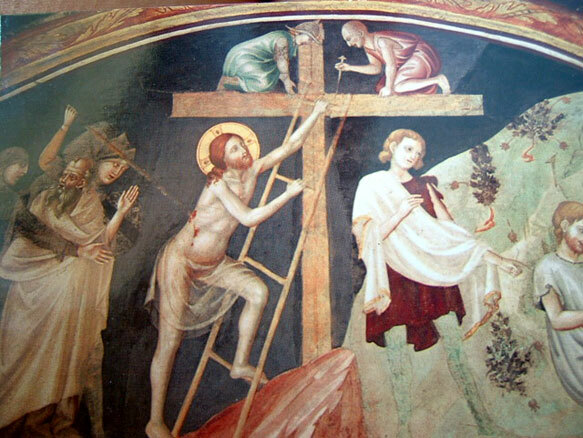 The visitor can also admire the cycle of the frescos depicting the Legend of the True Cross painted by various local artists from the Renaissance period. 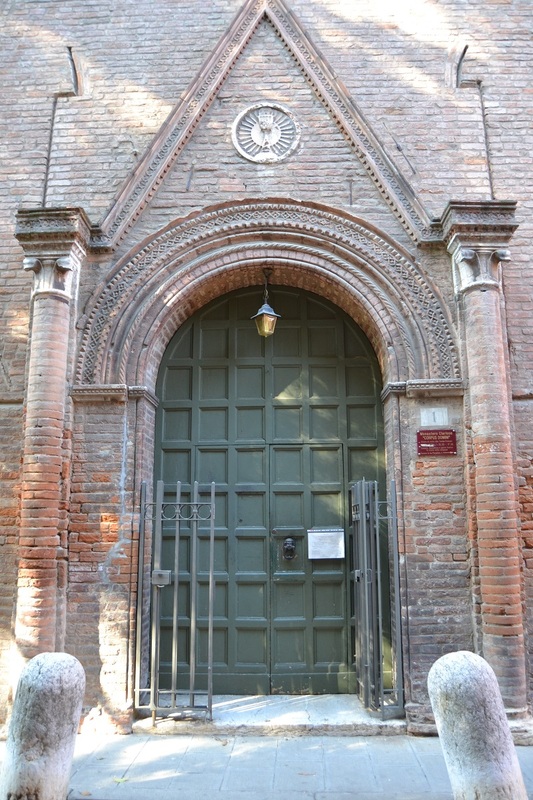 Via Borgo di Sotto, 49 - 44121 Ferrara - Tel. 0532 741009. 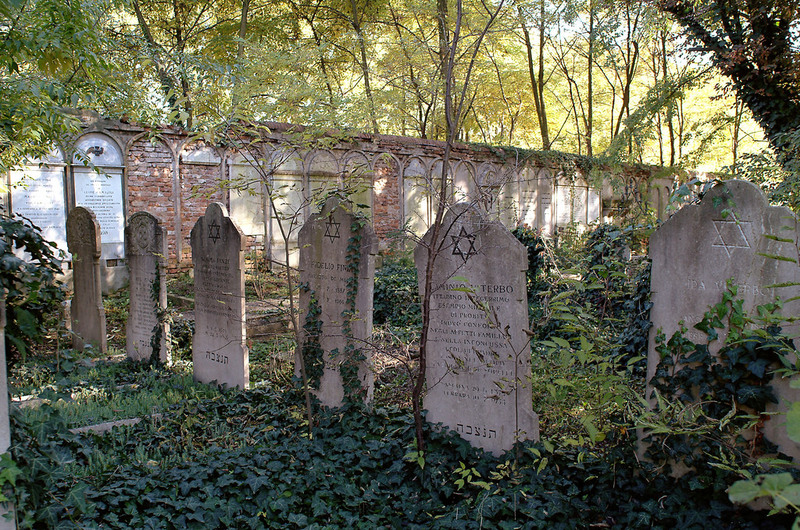 The Jewish cemetery of Ferrara is located inside the old city walls, alongside the monumental cemetery of Ferrara, the Certosa, surrounded by greenery.A very atmospheric site. Laid out in 1626, partly demolished by the fury of the Inquisition, under Cardinal Tommaso Ruffo of Calabria in the course of the 18th century. The oldest tomb stones date to the 19th century . The main entrance is marked by an important entrance which was designed by Ciro Contini, a Jewish architect in 1911.